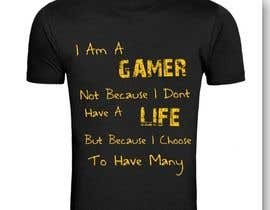 I need a sentence to be designed for a t-shirt. 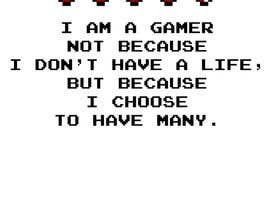 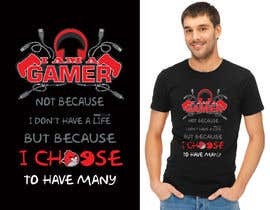 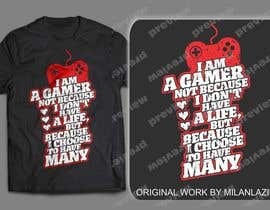 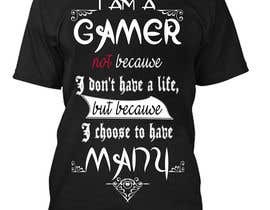 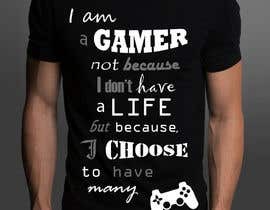 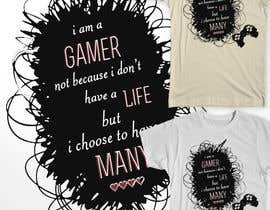 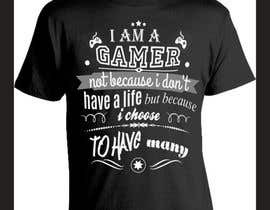 The sentence is: "I am a gamer not because i don't have a life, but because i choose to have many"
- Do something like the sample below but i give you full freedom to try something different. 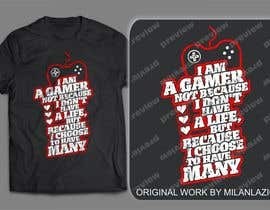 - Feel free to add icons (for example hearts, a gamepad or anything related to gaming ) into the design. 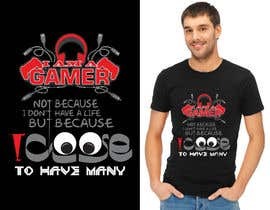 - Not more than 3 colors. 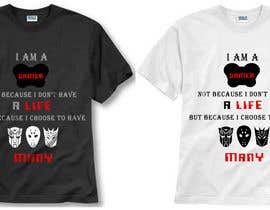 White color preferred. 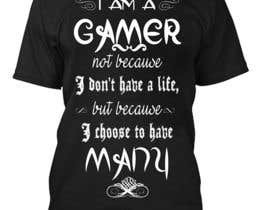 - Please no detailed images. 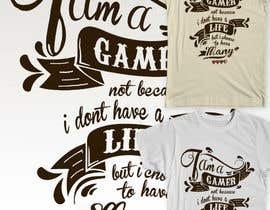 - Content shouldn't have more then 3 colors. 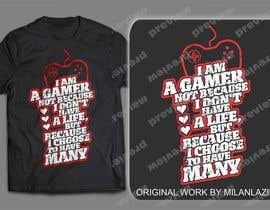 Still 3 days left to submit your designs.